It arrives in showrooms in the second quarter of 2019. 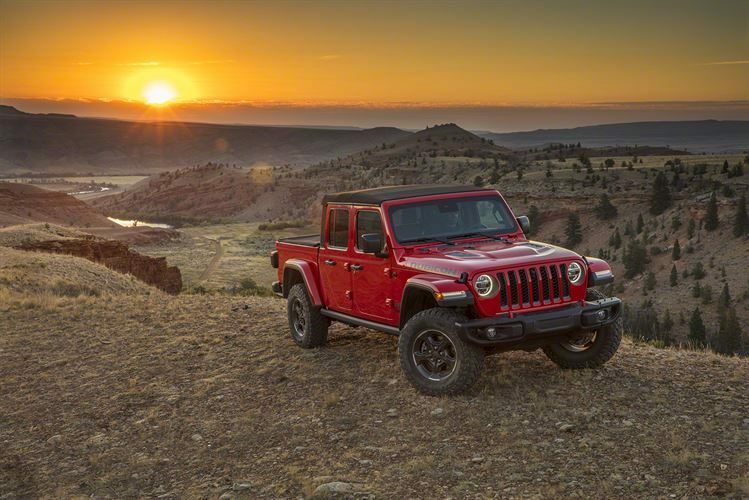 The all-new Jeep Gladiator builds on a rich heritage of tough, dependable vehicles with an unmatched combination of rugged utility, authentic design, open-air freedom, clever functionality and versatility. You’ll also get best-in-class towing and 4×4 payload, advanced fuel-efficient powertrain, superior on and off-road dynamics and a host of innovative safety and advanced technology features. The new Gladiator delivers unmatched capability with composed on-road driving dynamics and passenger safety. 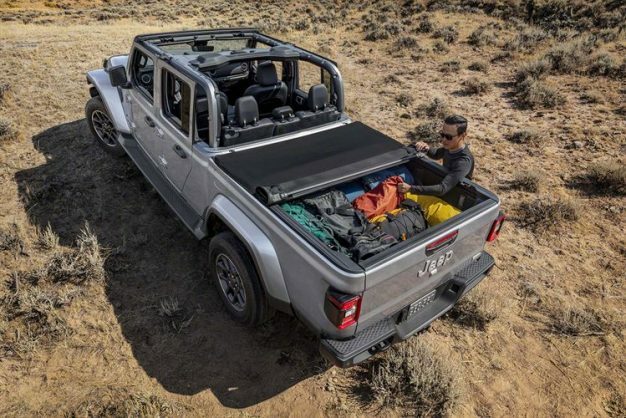 Legendary off-road capability comes courtesy of the Command-Trac and Rock-Trac 4×4 systems, third-generation Dana 44 axles, Tru-Lock electric frontand rear-axle lockers, Trac-Lok limited-slip differential, segment-exclusive sway-bar disconnect and 33-inch off-road tires. It will be available in four trim configurations: Sport, Sport S, Overland and Rubicon. Built in Toledo, Ohio, it arrives in showrooms in the second quarter of 2019. This Gladiator boasts a rugged, distinguished design that is immediately recognisable with traditional Jeep design cues. 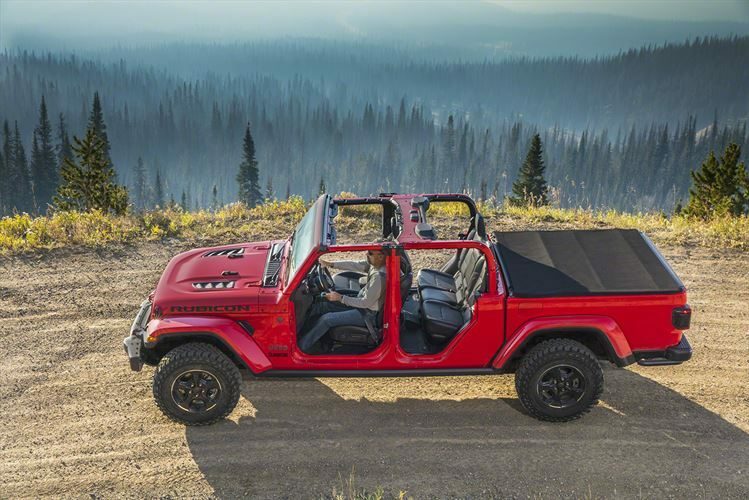 The design team kept the same legendary seven-slot grille as on the Wrangler, but widened the slots for additional air intake to assist with the increased towing capacity. The Gladiator offers the proven 3.6-litre Pentastar V6 engine at launch with a 3.0-liter EcoDiesel V6 engine being offered in 2020. The Pentastar V6 engine delivers 212kW and 352Nm of torque and features emergency stop signal as standard. It is engineered to provide a broad torque band with a focus on the low end, an essential trait needed for extreme off-roading. A six-speed manual transmission is standard on models equipped with the 3.6-litre V6 and an eight-speed automatic transmission is optional. 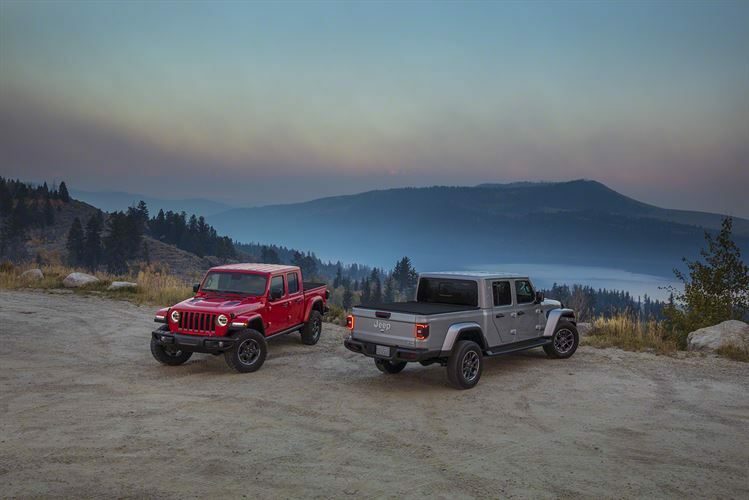 Known for its refinement, power, efficiency and adaptability, Jeep has produced more than 8.6 million V6 Pentastar engines since production began in 2010. The eight-speed automatic transmission offers a responsive driving experience. Whether commuting, rock crawling or hauling cargo, drivers will enjoy a smooth, linear power delivery and improved fuel efficiency. The interior combines authentic styling, versatility, comfort and intuitive feature use. Precision craftsmanship and high-quality materials are found throughout the cabin. A variety of infotainment display options in the centre stack allows the driver to configure information in more than 100 ways, including current media being played, tyre pressure, tyre-fill alert or digital speed readout. Integrated buttons on the steering wheel control audio, voice and speed functions. Optional audio upgrades include a subwoofer and portable wireless speaker located behind the rear seat.